Winter Garden’s goal is to help players improve all aspects of their game by providing 45 minutes of practice/skill development followed by a full 45 minutes scrimmage for each age level, Mites, Squirts and a combined PeeWee/Bantam. A Girls only session (all ages) is also available. Session day will remain the same for the entire spring season, allowing every player to better plan their Spring activities. No more rotating days while you are trying to fit in other Spring sports. 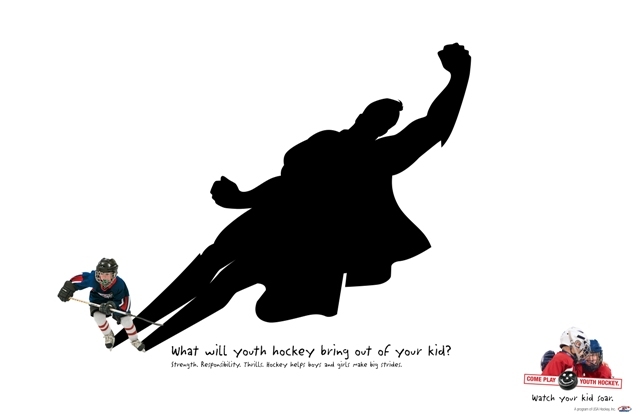 Program is designed for the house league players. No pressure. All Fun! Coaching by the best! 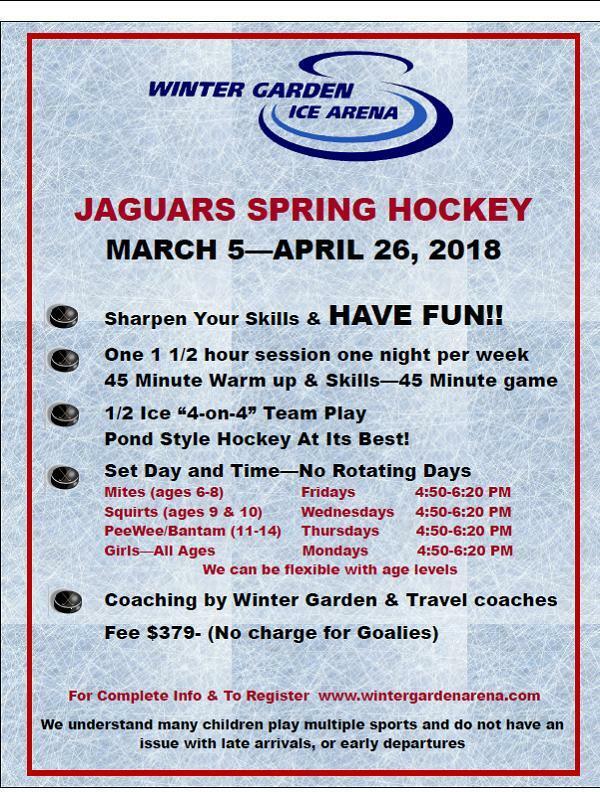 Ridgefield Travel Hockey coaches Cline will head up all of the Jaguars Spring sessions. Winter Garden’s goal is to help players improve all aspects of their game by providing 45 minutes of practice/skill development followed by a 45 minute scrimmage. This is a Girls Only session (all ages) is also available. Session day will remain the same for the entire spring season, allowing every player to better plan their Spring activities. No more rotating days while you are trying to fit in other Spring sports. 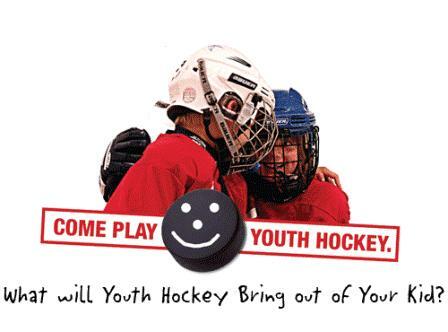 Program is designed for the house league players.